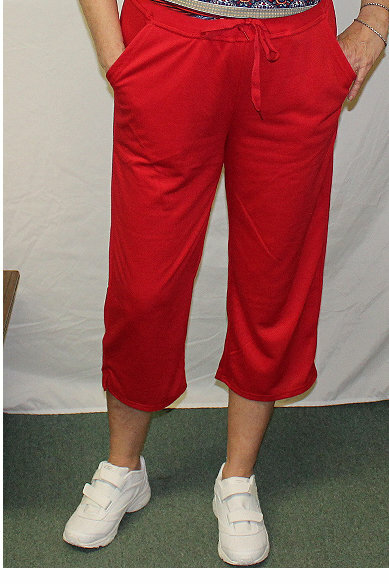 Whether you are going out or staying in, our supple cotton / polyester Capri pants are sure to be your warm weather favorite. They feature a comfortable elastic waistband with varied styling. Assorted solid colors.